“No walk today” by Sophie Anderson is a classic of Victorian genre painting, but it has not always been appreciated. The painting’s last owner paid only 14 guineas for it after it had failed to reach its reserve of 15 guineas at auction. That auction was held about 1926 in the London rooms of Robinson, Fisher & Harding (a firm much frequented by Henry S. Wellcome), and the buyer was the Foreign Office official David (later Sir David) Montagu Douglas Scott (1887-1986). As a lover of both Victorian art and gardening, Sir David particularly admired the precision with which the painter had indicated the time of year (July) through the flowers—jasmine in bloom, fuchsia not yet in bloom. 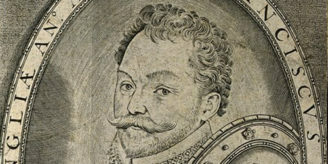 After Sir David died at the age of 99, his pictures passed to his widow, and after her death they were sold by Sotheby’s to benefit the Finnis Scott Foundation. Sotheby’s sale on 19 November 2008 was accompanied by a huge and scholarly catalogue enlivened with photographs of the Scotts’ home showing the paintings hanging in corridors, kitchens and sitting rooms, with perceptive hand-written labels stuck to the walls. “No walk today” is reproduced in standard works on Victorian art and has been lent to several exhibitions, including the Treasure Houses of Britain exhibition in Washington, DC, in 1985. Its subject is the disappointment of a little girl dressed up for a walk which has been cancelled because of rain. Through the window dripping with raindrops we can see that her costume includes some of the very worst materials to wear in wet weather: velvet, ostrich feathers, silk and lace. If her family had the money to dress her up like that, couldn’t they have afforded to give her an umbrella or a waterproof coat? The latter rather depends on the date. It was one thing to have the idea of mixing rubber with cloth, as Charles Macintosh did; it was quite another to turn the results into something pleasant to wear, and the technology of waterproof clothing was gradually adapted to the aesthetics of costume throughout the century. But even a macintosh could not protect against cold and wet miasmas which might engender, especially in children, a fever leading to lethal pneumonia. There is in fact an early document for “No walk today”, which suggests a date for its creation. Photographed by Lebbeus Colls from a painting by Mrs Anderson. Engraved on copper by voltaic electricity & printed in the ordinary manner. Published March 1857 by the Photo-Galvano-Graphic Comp.y . What does all this mean? 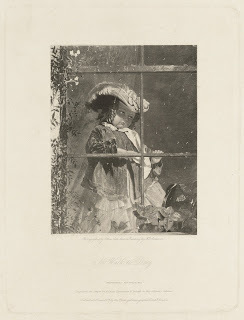 It means that this is one of a small number of prints made in London by “a very delicate and complicated process … ambitiously far ahead of its time”, patented in 1854 and called photogalvanography by its Austrian inventor, Paul Pretsch . Pretsch, who came to London in 1851 to see the Great Exhibition, was one in a long line of people who wrestled with the problem of turning a tonal image such as a watercolour or photograph into something that the printing press could print . 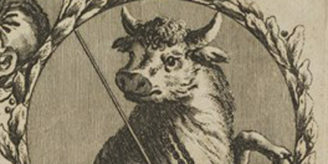 In his process, the image was projected from a negative on to gelatin, and thence replicated on a copper plate by a process using electrolysis (described in the print as “voltaic electricity”). The small number of prints using this process presumably follows from the difficulty of making the plate. Pretsch started the “Photographic art treasures” in December 1856. 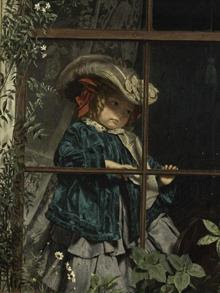 If this “photogalvanograph” was published in March 1857, and the painting was started at the season identified by Sir David from the unflowering fuchsia, the painting must have been painted between July 1856 and March 1857. The photographer is named as Lebbeus Colls. He was a London art dealer already in business in New Bond Street by 1852, and was also an early photographer. In both activities he was sometimes associated with his brother, the painter Richard Colls, one of many people sued by Henry Fox Talbot over photographic patents. It is striking that within a year of its production Sophie Anderson’s painting was already being described as an “art treasure”. Present day opinion agrees, for in 2008 “No walk today” fetched the highest price in the David Scott sale: £1,038,050 (including the buyer’s premium). Even after the lapse of 82 years, that must be a good return on a painting bought for 14 guineas.